In fiscal 2011, more than $32 million of funding set aside for a key college loan program created by the state — more than one-third of the program’s total funding — never reached Texas students. In fiscal 2011, more than $32 million of a pool of money set aside for a college loan program created by the state — more than one-third of the program’s total funding — was left on the table without ever reaching Texas students. 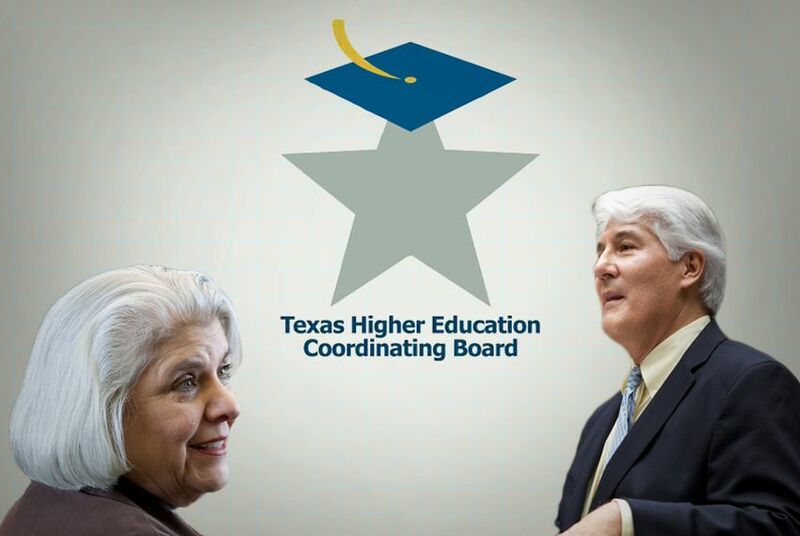 That eye-popping finding was noted in the Sunset Advisory Commission’s report released this month on the Texas Higher Education Coordinating Board. The commission periodically conducts reviews of each state agency, determining the need for the organization and offering recommendations for improvement. One of the major issues identified in the report was a need to revamp the B-On-Time Loan Program, which offers students no-interest loans that can be forgiven if they graduate within four years (or two at a two-year institution) with at least a B average and do not earn more than six credit hours more than their degree requirements. The program is funded through a combination of general revenue and the controversial practice of tuition set-asides, in which a small portion of tuition at public universities is pooled and then redistributed. The Sunset Commission did not tackle the issue of set-asides but cited other issues with the B-On-Time program. General lack of awareness about the program, combined with a lack of clarity about whether the award constitutes a loan or a grant (it is the former), strict requirements for forgiveness, and small loan amounts (the maximum for four-year students is $7,100 per year) that may need to be supplemented with additional loans, appear to prevent many Texas students from participating. Additionally, inconsistent funding from year to year (in the last four years, funding has ranged from $27 million to $90 million) and federal regulations that prevent packaging federal financial aid with state loans may prevent some school officials from encouraging students to apply. The net result is more than $32 million being left on the table. But the problems don’t end there. Fewer than 40 percent of students who participate in the program are able to meet the requirements for forgiveness. And the default rate on the loan is close to triple that of the coordinating board’s other loan programs — the Sunset Commission speculates that it may be because the lack of interest rate ironically removes the incentive to repay quickly. Students who have participated in the loan program — a group with a four-year graduation rate that is more than double those in other financial aid programs — expressed appreciation for the loan. Though federal rules require B-On-Time to be reported as taxable income, Giffin said he was happy to pay that rather than have to pay back the whole loan plus interest. In its response to the Sunset Commission, the coordinating board proposed repurposing the set-asides used for program to fund a rebate program that would provide an incentive to all students. Battles said this would solve a number of problems. Currently, some public universities lose millions of dollars by putting more set-aside money into the B-On-Time pool than their students receive in loans. In the proposed rebate program, set-asides would not leave the institution. Also, by no longer structuring it as a state loan program, the conflicts with federal rules would disappear. Both the coordinating board and Zaffirini disagree with the commission’s suggestion that the provisions for loan forgiveness be loosened to allow more students, such as those who took slightly more than four years to graduate, to be eligible. “Certainly that would be counter to the spirit of the program,” Zaffirini said. Although she acknowledged that the program’s issues must to be addressed and said she has been trying to bring key players together to address them, Zaffirini said the priority should be on making sure the B-On-Time program is fully funded. “If you want an incentive program, put your money where your mouth is,” she said. As for the rest of the coordinating board’s review, the Sunset Commission also found that the agency needs to allow for more public input, require that more board members have higher-education experience, and tweak outdated and unnecessary provisions in state law to allow it to operate more efficiently. The coordinating board also concurred with these findings but disagreed with the Sunset Commission’s assertion that the agency that its overly focused on its “Closing the Gaps” program, which seeks to bring the state’s higher-ed performance to a level comparable with other key states by 2015. In its official response, the coordinating board contends that the goals of closing the gap are integrated into the agencies’ core functions and are necessary for the agency to achieve its mission. Some observers wondered whether the Sunset Commission would suggest combining the coordinating board with the Texas Education Agency or another agency, as some lawmakers have sought to do in the past. Rather, they recommended continuing the agency for at least another 12 years.